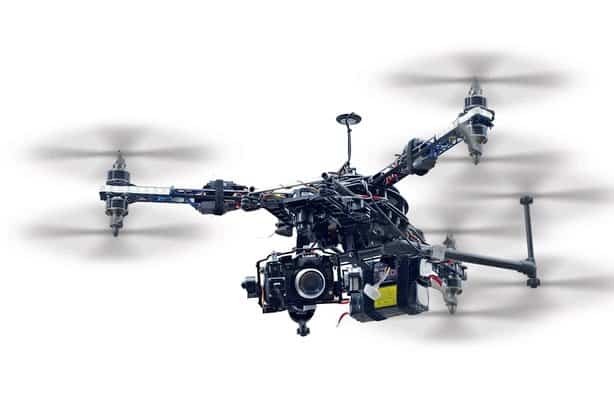 Most drone owners have experienced at least one of those scary moments when something goes terribly wrong and you expect the drone to come crashing to the ground. Read some of the scariest moments photographers have experienced while flying a camera drone in this Shutterstock blog post. This problems can be caused by a lost connection, low battery, bad weather or just a technical malfunction. While they are sometimes unavoidable, most of the time they are the result of simple things the drone owners forgot to double check before flying the drone. For example, one photographer on the blog post narrates how he updated his drone software but forgot to update the remote controller. He lost connection to the drone while flying the next day and almost crashed it. You probably already know the standard pre-flight safety check: checking the propellers, camera and gimbal and other components. But there are other things that most drone owners forget to check to their own peril. I’ve listed them below. Add them to your pre-flight checklist. Make sure your software is always up to date before you fly your drone. 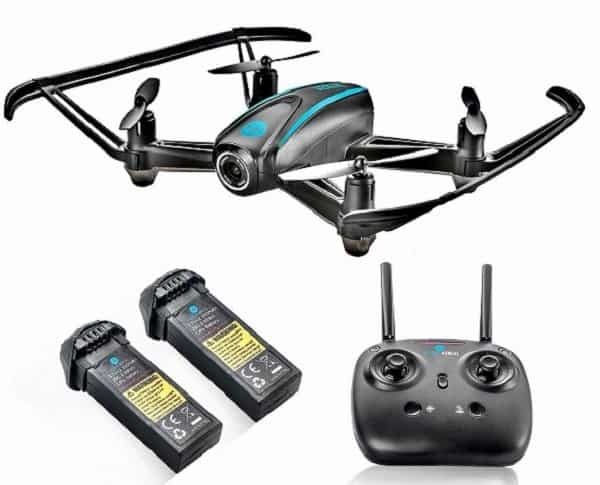 This includes the drone software, the remote controller software as well as the phone or tablet app. And don’t make the mistake of updating one and forgetting the other. This can result in incompatibility between your remote controller or phone and the drone and cause your drone to crash. If the worst happens and you lose control of your drone, the RTH command is your last resort. It directs the drone to fly back to a pre-programmed point. This will not only ensure you don’t lose your expensive drone, it also prevents the drone from crushing into people or a building and causing damage or injuries. To set your drone’s RTH, you have to use the DJI Go app (I’m assuming you have a DJI camera drone). 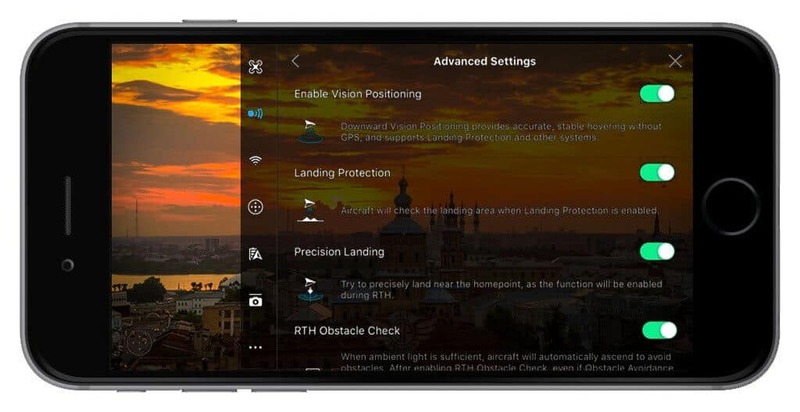 You’ll need to enable various settings such as landing protection, precision landing and vision positioning to make sure the drone lands safely. Check your drone’s manual for specific instructions on how to set up an RTH point. Make sure you do it correctly because it might be the only option you have in case anything goes wrong. 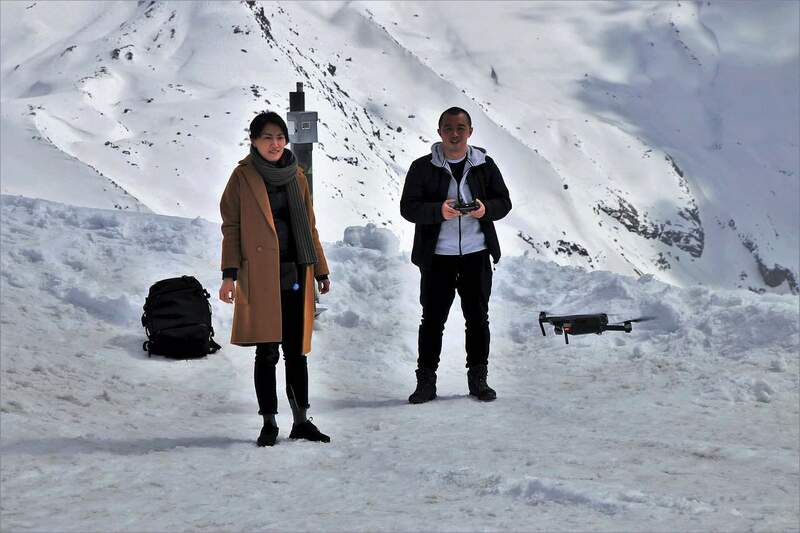 Your drone will not fly if the batteries are too cold. This is something drone owners discover too late when they are already on-location. If the weather is cold or you are planning to go fly somewhere cold, keep the batteries warm. This will ensure they are ready to go when you start flying. The easiest way to keep batteries warm is to carry them in your pocket. Your body warmth is enough. If you have spare batteries that you are planning to use later, also keep them close to your body. Alternatively, put the batteries in a LiPo battery warmer bag. Don’t just check your drone batteries. Also make sure your phone is juiced up. Even if you are not using it as a controller, you’ll still probably need to use the app for various things like setting RTH and viewing photos. If you are planning a full day of flying, consider carrying a power bank to recharge it. This is something else that’s easy to forget. Double check that you’ve inserted a memory card into the drone and that it has enough space to record all the photos or footage you are planning to take. The worst thing you can do is just show up at a place and start flying. The weather. Make sure the weather forecast is clear without rain, snow or strong winds. Legality. Check that it is legal to fly a drone in that area. Check if there are nearby airports, military facilities or populated areas that are no-go zones for drones. The geography. Avoid places with very rough terrain or at least be better prepared to fly over them. It can be difficult to control your drone in such areas and even more difficult to recover it if it crushes. Be extra-careful if there is a water feature like a lake or dam. Interference. Check that the area doesn’t have any masts or high-power lines that could disrupt signals between the controller and the drone. Finally, make sure you are not flying too close to the border of another country. That could have worse consequences (of a legal kind) than simply losing your drone in another country.